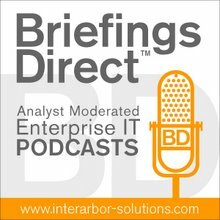 Dana Gardner's BriefingsDirect: Where are the best SOA synergies now that Rogue Wave is independent? Where are the best SOA synergies now that Rogue Wave is independent? Either today or tomorrow the completion of Battery Ventures' buyout of Rogue Wave Software will prompt some strategic thinking about where this high-performance C++ platform supplier best fits in. As a bit of background, Rogue Wave was a part of publicly traded Quovadx, which found itself in a bit of hot water with the SEC. That now appears to be resolved, and the Integration Solutions Division and Rogue Wave units of Quovadx are being scooped up in private equity buyout by Battery Ventures. The Rouge Wave unit will operate as a stand-alone unit within a Battery subsidiary, Quartzite Holdings. The third Quovadx unit, its CareScience division, was spun off to healthcare alliance Premier in March. What's more, word has it that Rogue Wave Executive Vice President and President Cory Isaacson will be leaving the company entirely, replaced by new CEO Bart Foster (CEO of former Battery portfolio company DecisionPoint Software). So now that Rogue Wave is un-entangled, as it were, and part of a private equity firm that, if history is an indication, might well want to find a good home for its newly adopted firm ... someday, someway -- where might Rogue Wave land? Well, consider that there are hordes of C++ applications scattered around the world. Consider that these applications need to accomplish two things for health and economy: modernization of platform and service-enablement. The Java applications world is undergoing just such a transition, as are myriad mainframe applications. Not too many C++ applications are being newly written specifically for SOA; Java and C# are pretty popular there. But the larger SOA infrastructure vendors might just want a high-performance, multi-core-optimized C++ complement to their Java, .NET and mainframes modernization and/or SOA-enablement strategies. Rogue Wave also has some marquee customers in financial services, telco, software, and government. Large professional services companies that are also enjoying growth synergies by bundling modernization and SOA initiatives would also no doubt value a strong C++ component to these efforts in the market. As frosting on this tasty cake, Rogue Wave is also tightly involved in the Apache Tuscany SCA Native (aka C++) incubation project, and Rogue Wave will likely produce a commercial platform that combines its Hydra SCA 3.5 (releases in April) with Tuscany SCA Native (aka C++) community-developer and open source code. Rogue Wave is a contributing member of the Open SOA Collaboration. So there's an open source path and commercial-open source business model potential here too. And which large IT vendor might want to 1) augment a SOA strategy with strong C++ platform and modernization offerings, 2) avail itself of a commercial-open source market opportunity, 3) augment Java and mainframe SOA migration initiatives, and 4) make application modernization and SOA transformation professional services hay? Why, Novell, of course. Actually, I can think of a couple of others. Rogue Wave bears watching and waiting over the coming months.